Counting calories won’t reduce obesity. So why are we requiring restaurants to post them? – My rule is if Nina Tiecholz writes something, I read it. Especially if she brings up the vary salient point of why we are requiring restaurants to post calorie counts if calories don’t affect obesity. Link between Vitamin D Deficiency and Obesity Discovered – The site seems a little spammy but the science is solid. One thing that isn’t clear is if the two are causative or just correlated with something else. My bet is both are correlated with lack of activity and exposure to sun. He was dying and Antibiotics weren’t working – An interesting article about Microphages. Rally4Ruth – This might be the dumbest thing I’ve ever seen. A judge is forcing a little girl with Type 1 Diabetes to eat 130g of Carbohydrates. This is terrible. Bonus Chapter from Wired to Eat – This is a chapter that was removed from Robb Wolf’s book Wired to Eat because it was deemed too controversial and difficult to understand. Thought it was pretty interesting myself. This is a tweetorial about meat I found interesting. Click here to read the whole thing. The only collusion I care about. 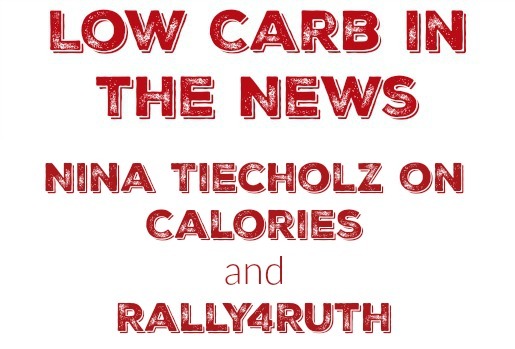 Evidence @DieticianClaire colluded with @ADSA_RD to try to take Tim Noakes down. We've all heard "you can't outrun a bad diet"